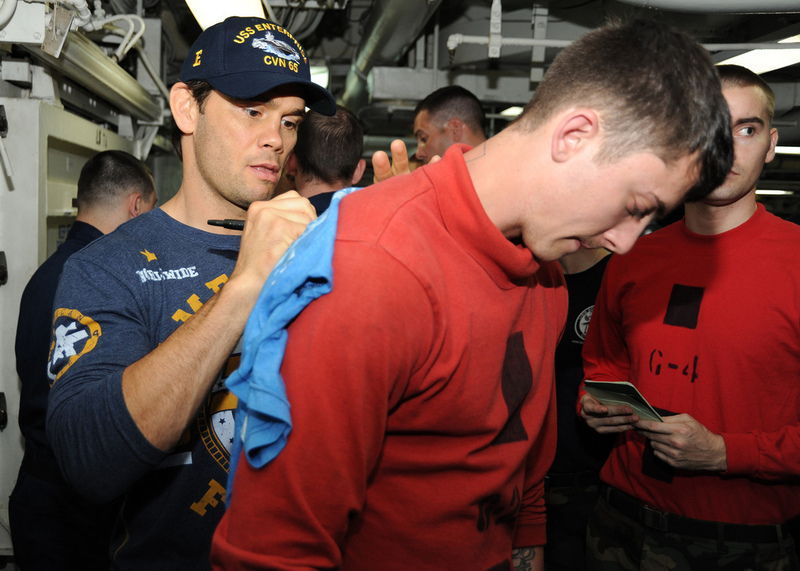 UFC 173: The Understudy’s Last Gasp – Can Rich Franklin Rescue the UFC One Last Time? Well, at least the poster for UFC 175 is set. But what happens with UFC 173? News came down yesterday evening that UFC middleweight champion Chris Weidman will need to undergo “minor” knee surgery and that the original fight date of May fight against Lyoto Machida will be postponed until July. The matchup will now be featured on UFC 175 in July. The Diaz/Lawler match is the most intriguing of the bunch because of the participants and because of the wake from UFC 171 and the glut of contenders at the welterweight division. This of course assumes Diaz is in shape and Lawler isn’t hurt. There is no title on the line, and there is little in the way of significance other than if Diaz wins, suddenly he has a credible win that advances his cause at a title shot against Johny Hendricks. With Aldo/Mendes, there is a guaranteed title shot, and Aldo seems to think Mendes is next in line, anyway. Whether or not fans will tune in to buy the fight remains to be seen. Mendes has been on an outstanding tear through the division since they last met. However, due to the convincing nature of Aldo’s win during their last dance, there would likely need to be a lot of build-up. Also, during Mendes’ time in Dallas for UFC 171 and during a Q&A with fight club members he mentioned that he would be Anthony Pettis’ wrestling coach for the Ultimate Fighter TV show. That could coincide with the prep needed for a main event slot at UFC 173. As far as Cormier and Hendo, there is too much of a gap between both athletes and where they are in their careers for this to be competitive. It gives Cormier a nice feather in his cap with a win over a legend like Hendo, but does it advance his quest for 205 gold? Conversely a Hendo win means he’s beaten a fighter who is 1-0 in the 205 division. All of these pairings seem to make sense given the situation and the state of everyone else’s schedules, and I wouldn’t be surprised to see any one of these matchups happen. However, if there is a true dark horse, if there is one fighter who has been known to go to bat for the UFC time and time again, saving main events, rescuing PPVs, single-handedly juicing vegetables and fruits, it’s Rich Franklin. Franklin has been on hiatus after starting his juicing company and hasn’t been too interested in getting back to the Octagon. Recently, Franklin turned down an offer to fight Lil Nog, Antonio Rogerio Nogueira, in Franklin’s home of Cincinnati because he is very focused on his juice bar business. Furthermore, Franklin has gone on record about his next fight likely being his last. But if you are familiar with Franklin or the UFC, you know that Franklin has been the company’s go-to, tactical stop gap when injuries take down main eventers and PPVs are on the line. Franklin stepped in for an injured Tito Ortiz and fought Chuck Liddell at UFC 115 in Liddell’s last fight. He also stepped in for an injured Vitor Belfort and fought Wanderlei Silva at the main event for UFC 147. He moves between light heavyweight and middleweight depending on the fight the UFC presents him, and he’s fought several times at a catchweight between the divisions just to ensure an event has a main eventer in place. Perhaps Franklin could be inclined to leave the trappings of his juice bar business for one last fight if the UFC made an event out of it. Give him the proper send-off by making this a big event and changing the narrative to honor the man. Whether it’s against Little Nog or someone like Ryan Bader, a UFC 173 main event slot could serve as Franklin’s swan song, allowing him to ride off into the sunset by main eventing one last time on one last card in the UFC’s own backyard. It could be a real symbolic passing of the torch since Franklin is the last of the UFC’s earliest breakout stars from the transitory pre-TUF/post-TUF era. And, it would just be a classy thing to do. 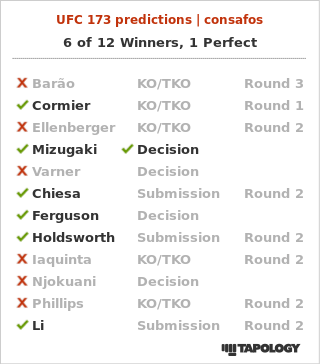 It’s a longshot for sure, and whether or not he gets the nod, Franklin definitely deserves some major recognition from the promotion and from fans at some point considering how many times he’s shown up for the UFC in the past. There’s a reason he’s a fan favorite, and there’s a need from the fans to see him recognized.